Engineered from the ground up, the Raptor® packs more performance, reliability and legendary Hustler® features into its simple design. 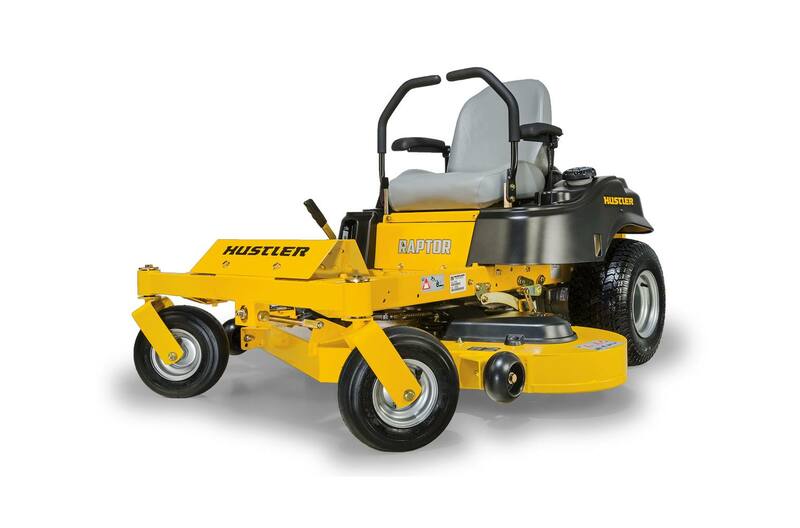 Featuring a tough welded-steel deck, heavy-duty fabricated frame and Hustler’s exclusive SmoothTrak™ steering, the Raptor® delivers an incredibly smooth and fluid zero-turn experience. Engine Guard: Provides protection to the engine and adds to great look of machine. Welded Steel Deck: Heavy-duty design for unmatched durability. Up to 52" deck size available. Powerful Engine Options: Kawasaki and Kohler engine options available. 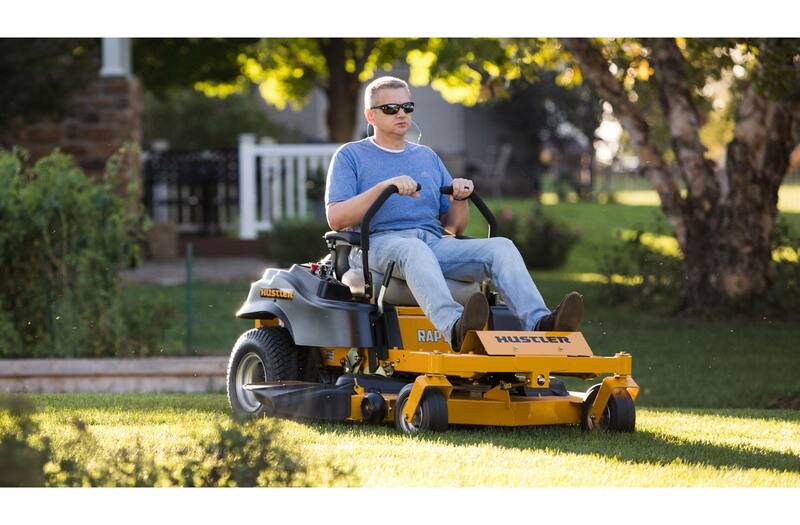 Blade Length: 3 - 17.86" x 2.25" x .188"
Mower Length w/ Catcher: 96.4"
Mower Width w/ Catcher: 63.9"
Width w/ Chute Up: 53.4"
Armrest Kit: Add armrests for even more comfort. Engine Guard: Optional engine guard provides protection and adds to the great look. Hour Meter: Great for keeping track of service intervals.